GSA ALLIANT (Large and Small Business) - RLM Communications, Inc.RLM Communications, Inc.
59 vendors are fulfilling the GSA requirement for the provision of worldwide IT solutions to client agencies. 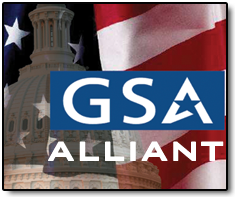 Regarded as the next generation GWAC for GSA, Alliant will be designed to provide the greatest amount of flexibility possible to efficiently and effectively support the federal government’s needs in its daily operations, its protection of infrastructure, the fight against terrorism and the development and marketing of emerging technologies. This effort will be a combination of Millennia and ANSWER. The contractor provides a full range of primary data processing and support services to subscribing agencies at its outsourcing centers. Primary data processing services and support services will include all the essential components and resources to service and maintain data center computing, such as hardware and software services, system back up and disaster recovery services, operations and systems support, systems and application software support, migration support, and acceptance testing support. All primary data processing services and support services will be supplied in conformance with the terms and conditions of this contract. The GSA FTS Office of Information Security (OIS) has a requirement for support to provide the Federal government Access Certificates for Electronic Services (ACES). This opportunity increases efficiency, productivity and citizen access to government information and services through the introduction of modern information technologies.